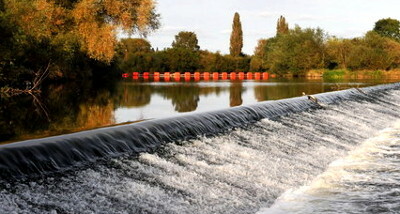 A WEIR safety boom on the Severn has proven to be not so safe after all as it has come adrift. This is the boom on the weir at Upper Lode Lock on the river, and is no longer doing its job, Keith Gudgin tells us. This means that should a boat lose power heading towards the top gates there is nothing to prevent it going over the weir should it be close to the stream. Boaters are advised to steer clear of the main stream by keeping well over to the left when approaching the top gates.